Alcohol has always been with human history. Drinking alcohol cannot be missed in pleasant meetings. However, it is also an important factor causing breast cancers. "The more alcohol you drink, the greater risk of breast cancer"
Today, I want to talk about a correlation between alcohol and breast cancer. Many epidemiological studies and cohort studies have been revealed that alcohol consumption is correlated dose-dependantly with breast cancer. 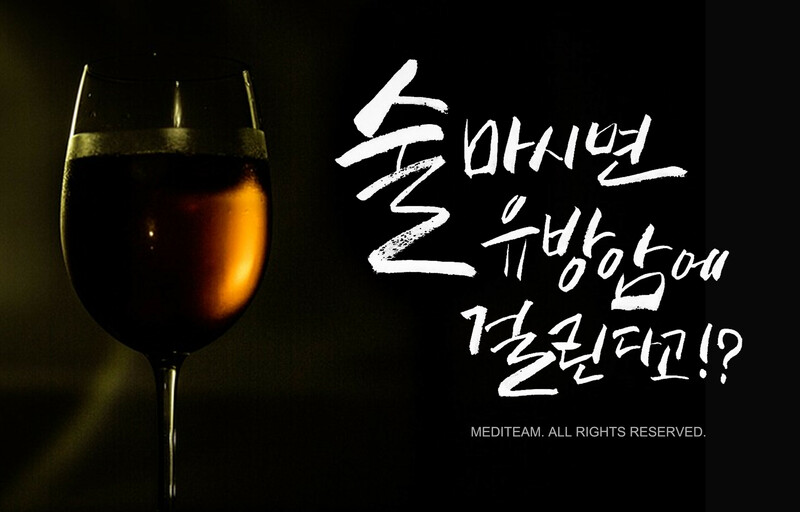 "Ten percent increased risk per one glass of alcohol a day." There have been a lot of studies investigating a relationship between alcohol consumption and breast cancer. There are several meta-analyses with data from trustworthy researches. 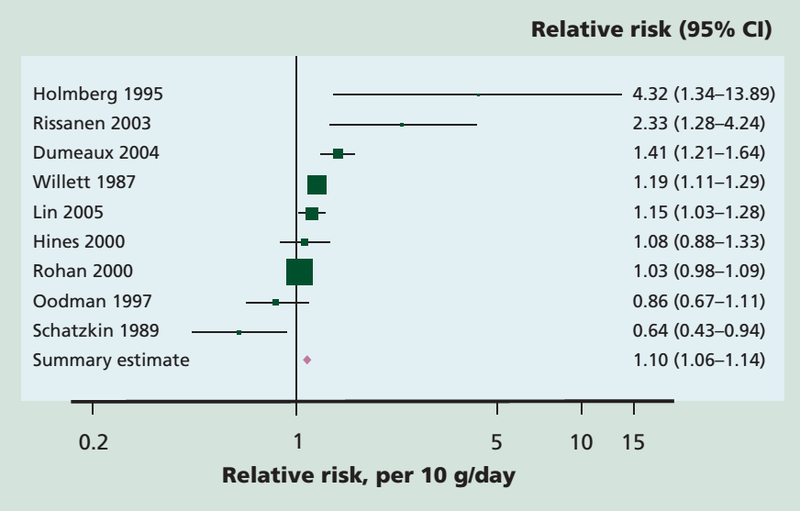 Meta-analysis of cohort data showed a 10% increased risk per 10g ethanol a day. Ten gram of ethanol is equivalent with 285 mL glass of beer, 100 to 150 mL glass of wine, and 30 mL nip of spirits. If you drink more than 5 glasses a week, the risk is as high as 10%. "The more amount you drink at a time , the greater risk of breast cancer"
Also, the amount at a time was also important. There is a significantly different risk for breast cancer between people who drink only a glass of alcohol and people who drink several glasses at a time. Therefore, decreasing amount you drink at a time is also important. 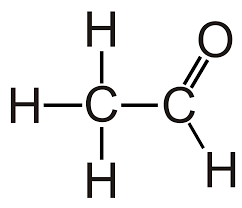 "Metabolites of alcohol is carcinogenic"
Reactive metabolites of alcohol, such as acetaldehyde, is suggested as carcinogen. Also, the effects of alcohol are mediated by production of prostaglandins, lipid peroxidation, and the generation of free radical oxygen dpecies. Alcohol acts as a solvent enhancing penetration of carcinogens into cells as well. "Alcohol also interrupts with hormone levels in our bodies"
People who drink a lot of alcohol have diets deficient in essential nutrients, which can make them susceptible to carcinogen, and influence hormone levels. Alcohol itself also interferes with estrogen metabolism and levels of estrogen receptors in multiple ways, and increase a risk of breast cancer. "Intake of folate may be helpful"
The interaction between folate and alcohol can affect a risk of breast cancer. It was shown that increased blood concentration of folate has a protective effect against alcohol. Then let's see what foods contain a lot of folic acid: vegetables (spinach, chives, broccoli), fruits (avocado), seaweeds (sea msustard, kelp, laver), beans (kidney bean, sunflower seed). 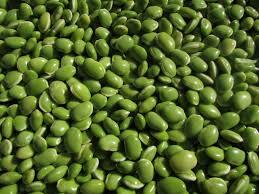 Also, some studies have shown that beans themselves protect breast cancer. But this effect of folate is only a partial protective effect of breast cancer, so it is more important to decrease your intake of alcohol. Prev Article : Coffee and Skin cancer Next Article : 방사선치료란 무엇인가?